It was back to cold derby fishing this year, with temperatures peaking at 11 degrees with light northwest winds. Derby headquarters was once again the big heated tent on the lower parking lot of Red Pines Bar and Grill on Brice Prairie. Fishing started at sunrise and ended at 3:00pm sharp. 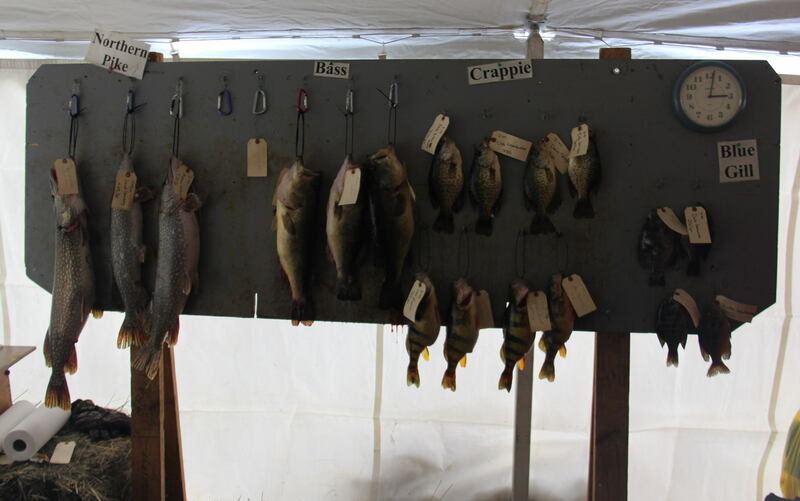 Cash prizes were offered for 1st thru 4th place for five fish species: bass, northern, bluegill, perch, and crappie. The crowd admires Denise Oien's winning northern pike.